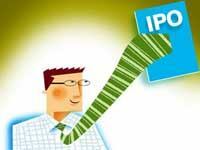 In 2010, there is 29 new Initial Public Offering (IPO) compare to 14 in 2009. Out of 29 listings, 23 companies were listed on the Main Board of Bursa Malaysia, while the rest were on the ACE Market. Based on data compiled from Bursa Malaysia, 17 out of 29 stocks closed higher than their offer price on the listing date. However, on 30th December 2010, the last trading day, only 12 closed higher than offer price. Seem like IPO stocks performance in 2010 is not very encouraging. In January 2011, 3 more IPOs will be listed in Bursa Malaysia. They are K. Seng Seng Corporation, Benalec Holdings and Tambun Indah Land. With 2010 IPO performance data, are you going to subscribe to 2011 IPO? The table below are the summary of 2010 IPO performance. Info yg sangat menarik! Thanks for above compilation. What is the different buying stocks during IPO and during listed later? For a very good stock such as MMHE & PCHEM, the price after listed is much higher than its IPO price. Other than that, normally the price of IPO’s is up on the first day of listing.